Here's a preview of the May Indie Next List, now on its way to ABA member stores in the IndieBound movement. A growing legion of indie bookstore fans are using IndieBound.org's Wish List feature to build a list of books they want, alongside a list of their favorite bookstores, and to e-mail it to family and friends. Although Wish Lists were introduced on IndieBound.org for Holiday 2008, this past March saw more lists created than any previous month. "It came as a surprise to me," said Web Content Coordinator Matt Supko. If you're a book or music hound, you already know that loyal indie record store customers and indie bookstore customers are cut from the same cloth -- they're usually discerning aficionados seeking the next big thing before it becomes big, or that hidden gem that can only be found through a knowledgeable staff and an eclectic selection of product. So, it's only fitting that this year the American Booksellers Association and IndieBound will be joining with indie record stores around the globe to mark the second annual celebration of Record Store Day. As warmer weather spreads across the country, IndieBound is refreshing the popular Bookseller DIY with new, spring-themed designs. With consumer awareness of IndieBound on the rise, DIY materials can help identify your store as a destination for local, community-conscious shopping. Each month, the Indie Next List Notables feature engrossing and provocative writing -- fiction and nonfiction titles enthusiastically recommended by indie booksellers nationwide. For the eight-week period ending March 24, 2009, and based on sales at independent bookstores throughout the U.S. 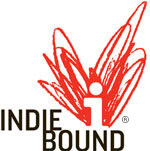 The IndieBound movement, launched by the American Booksellers Association at last year's BookExpo America, has been honored as one of the top rebrands of the year by the 2009 ReBrand 100 Global Awards. Since January 2008, Rob Dougherty of Clinton Book Shop in Clinton, New Jersey, has been promoting the causes of independent bookstores and the American Booksellers Foundation for Free Expression (ABFFE) via the Facebook page "Independent Book Sellers." By popular request, W.G. Ellerkamp is now offering environmentally friendly, biodegradable plastic IndieBound bags. These plastic bags are made with 10 - 15 percent recycled material and will break down safely within a few years when buried or composted. Tattered Cover Media Marketing Coordinator Patty Scott Miller is a pro at using social networking sites, especially Facebook and Twitter, to promote the popularity of the legendary Denver bookstore. Now, however, she has taken on the cause of all indie booksellers. For the eight-week period ending March 10, 2009, and based on sales at independent bookstores nationwide. Diners, Drive-Ins, and Dives: An All-American Road Trip ...With Recipes! Last week's announcement of the Indie Next List Poetry Top Ten incorrectly noted the availability of the list. The new list is available in a full-color PDF file. It will not be included in the March Red Box in a printed pad. Voting is now open to the owners and staff at all ABA member bookstores for the inaugural Indies Choice Book Awards, reflecting the spirit of independent bookstores and the IndieBound movement. Here is the 2009 Indie Next List Poetry Top Ten, based on the enthusiastic nominations of independent booksellers nationwide. A full-color PDF of the list is available for download on BookWeb. Here's a preview of the April Indie Next List, now on its way to ABA member stores in the IndieBound movement.